It's the biggest scene of the musical. 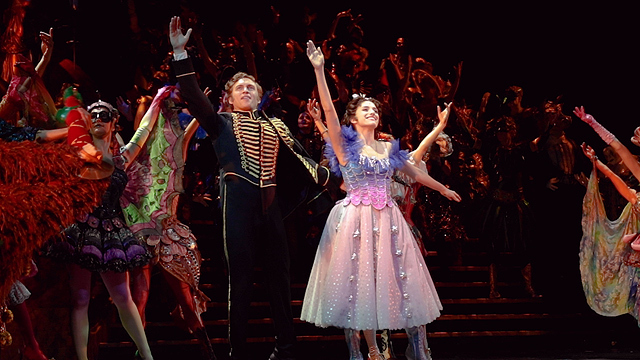 (SPOT.ph) It's been a month in since it opened, but The Phantom of the Opera continues to wow the Filipino audience with the story, music, and spectacle of Broadway's longest-running musical. This world set in 1881 at the Paris Opera House was made more vivid and splendid by theater designer Maria Bjornson, who won the Tony Awards for Best Scenic Design and Best Costume Design in 1988 for the show's original New York staging. After over three decades, her legacy lives on. The Phantom of the Opera runs until April 7 at The Theatre at Solaire, Solaire Resort and Casino, 1 Aseana Avenue, Parañaque City. Tickets, priced from P1,900 to P7,250, are available through Ticketworld.